Nathan Wilson joined the Elders team in June 2018 and is considered a ‘True Local’, being fortunate enough to have been born and raised in beautiful Mid North Coast. 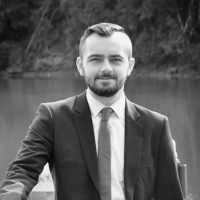 He has been involved in the customer service industry from the tender age of just 13, his enthusiasm and professionalism were observed for some time, when the opportunity arose in 2011, Nathan was approached with the prospect of starting his Real Estate Career. Nathan completed his Certificate of Registration qualification via Mid North Coast Area TAFE with his trainer at the time astounded with his natural ability to excel in the Real Estate Industry, since then he wanted to go further and has also completed his Certificate IV in Real Estate Services and obtained his License in Real Estate, now a fully licensed Real Estate Agent + Stock & Station Agent. Over the past 7 years Nathan has built a strong relationship with all of his individual clients, ensuring the best possible outcomes, he has definitely proved himself, being a dedicated and reliable part of the team, he recognises the value of setting goals and striving to achieve them to exceed client’s expectations. We certainly anticipate a bright future for Nathan in his Real Estate Career and sales was always going to be a natural progression for Nathan. We are so excited to have Nathan as part of our team. Anyone looking for a natural, hardworking sales agent within the Crescent Head or Port Macquarie area should contact him today. Meet some of Nathan’s happy clients. Nathan was extremely great as a salesman, he came across very easily & rang continuously to tell us about our property & how it was going. I would recommend him to everyone whether selling or buying a property, a very knowledgeable person. We wish his luck in his position & endeavor that he will go further in the industry. When purchasing our property we found Nathan to be an exceptional agent who reliably informed us of information and was always at hand to ask questions, nothing was ever a drama. We would not hesitate to recommend him to anyone buying or selling. Would you like to speak to Nathan?